Reading: This week we talked about author's message, which also tied into our writing lessons about why writers write. We learned questions that good readers ask themselves while reading, such as: "Does this make sense?" "Does this look right?" and "Does this sound right?" Good readers don't read without making mistakes, good readers catch their mistakes and correct them! Writing: We have been working on lists this week. We made a list of reasons writers write. We also started making lists to generate ideas for writing later in the year. We've done a great job of adding our pages to a table of contents so that our notebooks are organized and useful to us later in the school year. Math: We continued working on rounding and problem solving this week. We also introduced our fluency station. We discussed how math fluency practice should not be about speed, but about understanding the skill. We used math cards for these, which help students visualize the facts. Click here if you'd like to check out the math cards and use them at home. We also logged onto MobyMax and took a pretest so students can begin using this resource at home. Social Studies: We continued talking about maps and working on our "Me on a Map" booklets, where students draw their own maps of various places they are familiar with. We will mail our Flat Stanleys next week. If you haven't yet turned in an address, please do so. Click here to view an article to see why we are changing our language in math to help students. We are sure you are all eager to pop in and help in any way possible. We would love to have volunteers for Genius Hour, as researching can be very difficult for 3rd graders. Mrs. Callahan and I love using this time to meet one-on-one with students, and having volunteers make this possible. If you're interested in signing up, click here to view our Sign Up Genius. We completed MAP testing this week. Students did a great job persevering through these tests, staying focused, and working hard. You should be receiving communication with your child's scores in the near future. Thank you to everyone who came to Curriculum Night. If you were not able to make it you can view the slide show here. Please remember to email us with any questions you may have. 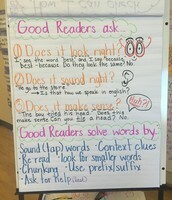 Good readers think about their reading! Good readers don't read without making mistakes, but they do catch their mistakes and correct them. 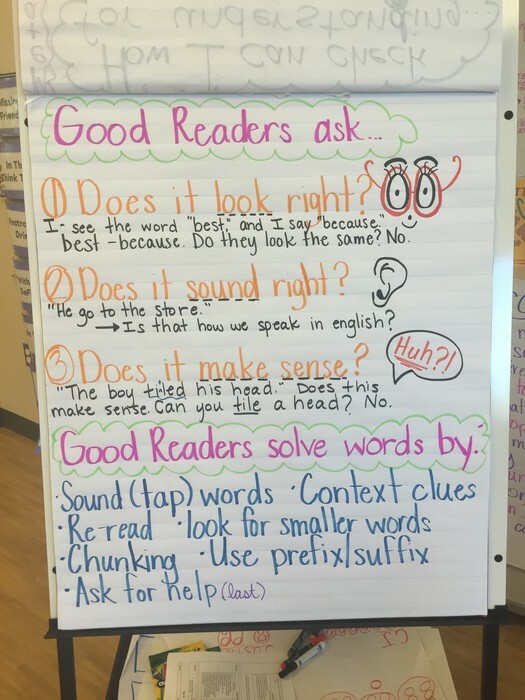 Good readers also have strategies for figuring out an unknown word. Number Sense is More Important than Speed! 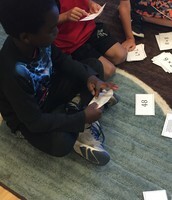 This week we used math cards to practice and understand some basic multiplication facts. We use math cards instead of traditional flash cards to help build number sense and an understanding of why we get the answer to a multiplication problem. 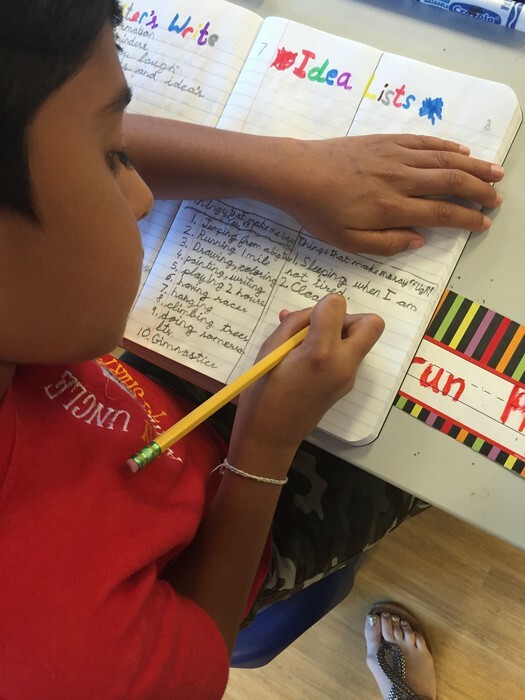 We Love our Writers' Notebooks! 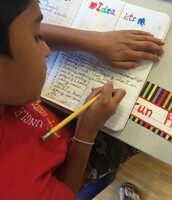 This week we've really worked on generating ideas for our Writers' Notebooks to help us write later in the school year. We have also created a Table of Contents to keep our notebook organized and easy to use. We've come up with some great ideas and learned a lot about each other through sharing!